From weddings through to formals, limo hire in Melbourne is a popular choice when it comes to a wide range of special events. After all, arriving in style never goes out of fashion! No matter what the occasion, limousine hire in Melbourne can help to make your event extra special. Here are just some of the top occasions that limo hire is ideal for. Everyone wants their big day to be memorable – and hiring a limo is a great way to ensure your special day is one that nobody involved will soon forget! It also doesn’t have to be limited to the wedding day itself, with limousine hire also popular for bucks or hens nights, allowing you to make the most of your big night on the town before tying the knot. Formals are a great opportunity to dress up in your finest attire, so why not go the extra mile and arrive at the event in style? Limousine hire in Melbourne can add an extra level of excitement, with the experience of travelling in style really helping to make the occasion extra special. Limo hire is perfect for celebrating a big milestone such as a 21st or 40th birthday. Sipping on a glass of champagne and relaxing in style before arriving at a venue is a great way to travel to your birthday function – and treating a loved one to a ride in a limo makes for an incredible gift! Ever wanted to explore the scenic countryside and sample delicious wines? Limousine hire in Melbourne makes it possible to travel in comfort with friends and take in the stunning sights of Victoria. You can visit wineries, enjoy a meal, sample wines, and even buy a bottle to enjoy in the limo on the way home! 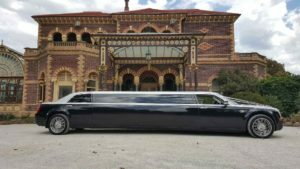 There are many companies that offer limos for hire Melbourne-wide, but it’s important to use one that offers outstanding service and top-of-the-line vehicles like LimoZone. Contact us for your next big event by calling 0419 598 717.